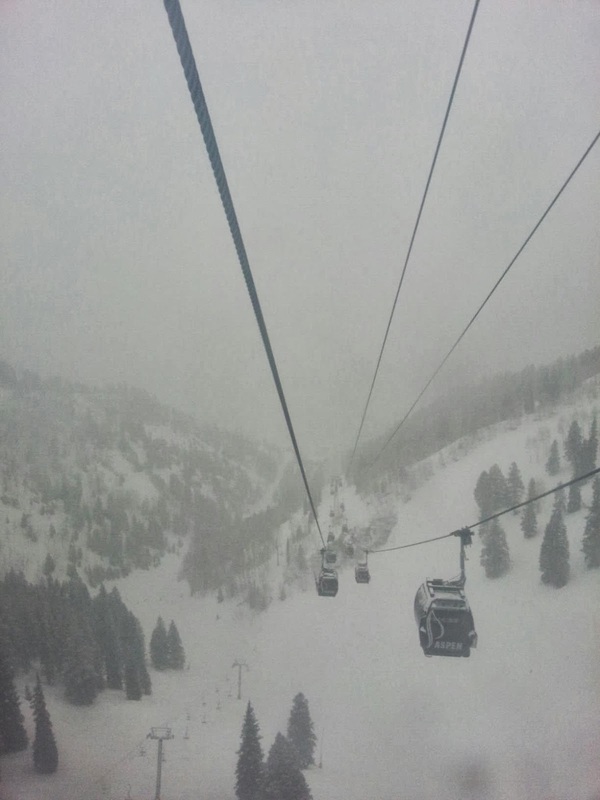 MAJOR POW POW DAY...the weathermen are calling this snowstorm "Maximus!" Perfect, since here in town we have accumulated 7" since midnight last night, and it is still coming down! Beautiful! 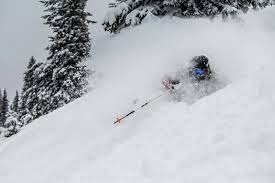 Don't have complete reports yet of how much on our FOUR amazing mountains, but 7" inches in town translates to serious POW for skiers in Aspen/Snowmass. If you're traveling this way, just take it slow and safe and enjoy the beauty...it will be here when you arrive! COME JOIN US!! Kids get a free lift ticket and rental with purchase of a minimum 3-day adult lift ticket and companion adult rental. 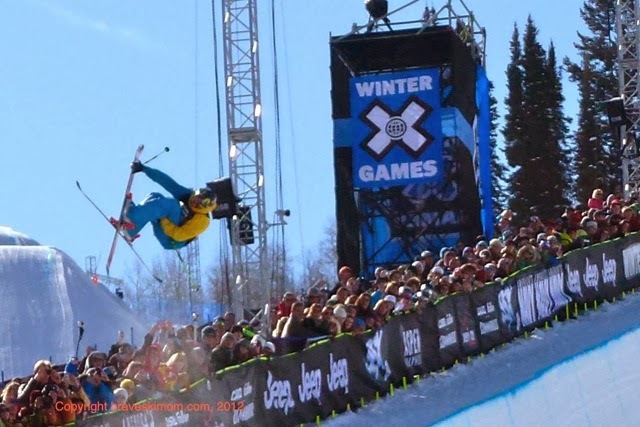 As the 2014 XGames close today in Aspen with the Snowboard SuperPipe Men's Final at 7:15pm, we begin to think about the upcoming Olympics in Sochi. Although the Alpine team hasn't been chosen as yet, we have 4 Aspenites heading to the Olympics and this town couldn't be more excited! Torin Yater-Wallace will be on the men's skiing half-pipe team, Noah Hoffman and Simi Hamilton are Nordic skiers, and Aspen native Jeremy Abbott will compete in figure skating. CONGRATS to all these amazing athletes! BUT LET'S RECAP A FEW OF THE many "beyond" moments at this year's XGames, and knowing that it will take place in Aspen for the next 5 years has everyone pumped! You could not have attended the Games on Thursday night and been untouched by Colten Moore as he sat on his snowmobile his eyes wet with tears. 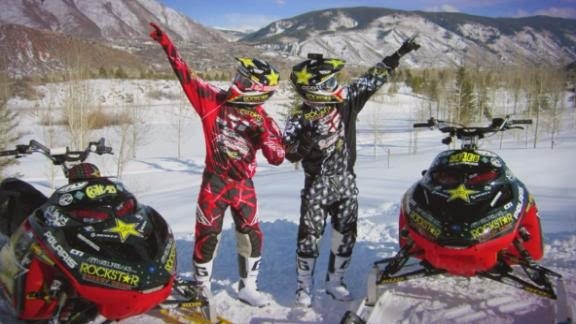 He clinched the most emotional gold medal in the 20-year history of the X Games, winning in Snowmobile Freestyle one year after his older brother and best friend, Caleb, crashed and suffered fatal injuries in the same event. With 60 family members and friends cheering him on, it is a reminder that these games, and winter sports in general are something that really involves family as these athletes generally start at a young age and excel with support of parents and family. [+] Enlarge Photo Joshua Duplechian/ESPN "This is the greatest moment ever, to be able to come back and ride for my brother," said Colten Moore. Max Parrot wins 2nd gold of the week in Men's Snowboard Slopestyle. 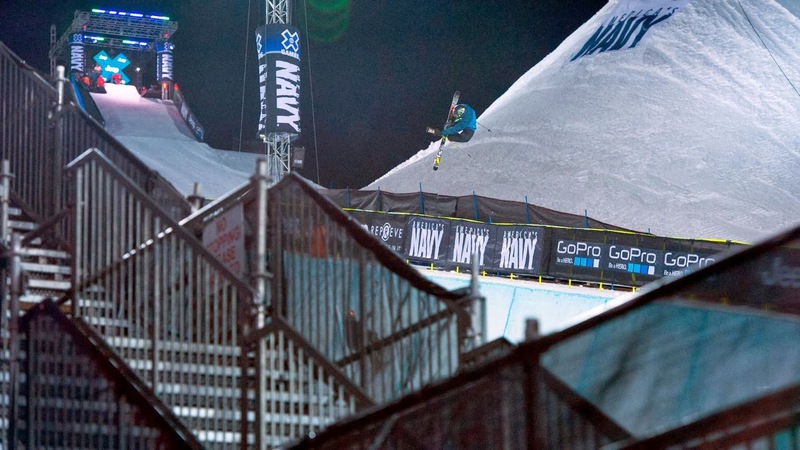 Canadian rider Max Parrot's X Games weekend began with a Snowboard Big Air win Friday night and ended with a Slopestyle win Saturday. three-peat in men's Ski SuperPipe since Tanner Hall's streak from 2006 to 2008. French skier Kevin Rolland got silver, and Aspen local Alex Ferreira took bronze. 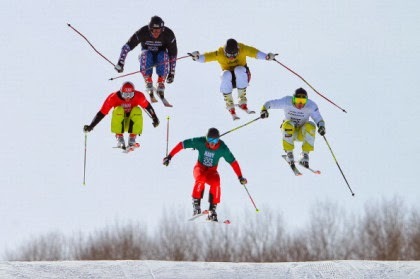 Wise, the 2013 FIS World Cup champion, will be the favorite heading into the Sochi Olympics. Kelly Clark scored an X Games Aspen four-peat in Snowboard SuperPipe and won her 12th career X Games medal Saturday, becoming the most decorated female athlete in X Games history. She said, "I think it's one of the best events of the year, coming here to X Games and getting to showcase our snowboarding and take women's snowboarding forward." Clark, who was the top qualifier for the U.S. Olympic women's halfpipe team, will be a gold-medal favorite at the upcoming Sochi Olympic Games. Thirteen-year-old X Games rookie Chloe Kim won silver and that made her the youngest medalist in X Games winter event history. Another emotional moment took place on Saturday when four-time X Games gold medalist and Aspen native Gretchen Bleiler announced her retirement and said this would be her last XGames. Swede Henrik Harlaut defended his GoPro Ski Big Air title Saturday performing the same nose butter triple cork 1620 that helped him win last year. It was the highest-scoring trick of the night, but he backed it up with a switch tail butter double cork 1080 double grab for a combined score of 93. The Big Air field is a tight-knit crowd, and Harlaut also gave props to his competitors. "Vincent Gagnier, doing the craziest stuff I've ever seen. Big ups to him," he said. Harlaut also will be the one to beat in today's Ski Slopestyle final. 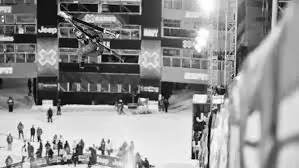 Norwegian rider Silje Norendal won a gold medal with a Slopestyle win Saturday; this was an upset Jamie Anderson's attempt at an X Games Aspen three-peat.This event makes its debut in the Sochi Olympics next month. Levi LaVallee won gold in the return of Snowmobile Long Jump at X Games on Saturday. LaVallee beat Cory Davis in the third and final elimination round with a distance of 147 feet, 5 inches, to Davis' 142 feet, 11 inches. LaVallee was the defending champion in the event, which was last contested at X Games Aspen 2010. La Vallee said, "Since I was a little kid, I've just wanted to go as big as possible, big in front of my family or friends or whatever it was. Now we've got all these great fans out here, I'm trying to go as big as I can." The win is LaVallee's seventh at X Games -- and his 11th medal in 10 X Games appearances -- and he'll aim for an eighth gold medal in Sunday's SnoCross final. Saturday was a record breaker in attendance with 48,000 breaking the single-day mark. And just think, you still have at least 5 more years of XGames in Aspen!! BY THE WAY...SHAUN WHITE WILL BE COMPETING...according to the staff of XGames.com, the superstar snowboarder told organizers Tuesday, Jan. 21, that he WOULD COMPETE in both the superpipe and slopestyle events. 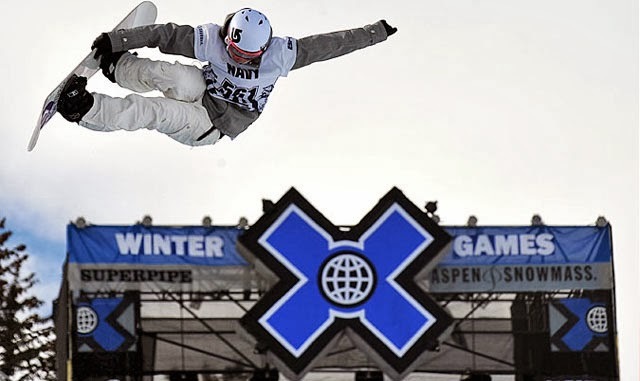 White’s decision will certainly please his legion of fans!White will now participate in two events in the X Games before turning his focus to the 2014 Winter Olympics. IT'S NOT TOO LATE....GET SOME "AIR" AND COME JOIN US!!! WOW....so much today in Aspen/Snowmass this month...you don't want to be left out do you? Nope...didn't think so, COME JOIN US! The amazing jumps and super pipe are almost ready to go over at Buttermilk; lights are up and you know the excitement is building! Be there as more than 200 of the world's best athletes in skiing, snowboarding and snowmobile throw-down over four action-packed days of competition for the most coveted medals in action sports. You can't miss the legends and Olympians including Shaun White, Gretchen Bleiler, Bobby Brown, Mark McMorris and others live at Buttermilk. 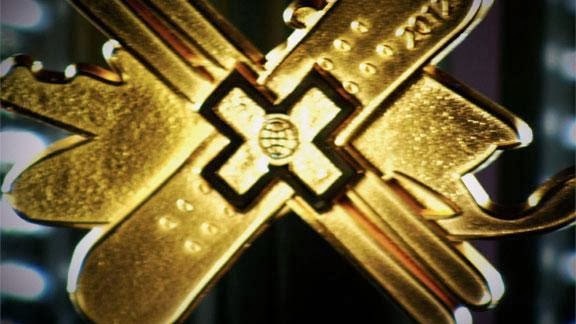 Check out the ESPN X Games Aspen website for results, contest schedules and more. In addition to the action at Buttermilk, Aspen/Snowmass will host a FREE Bud Light Hi-Fi Concert featuring Savoy at the base of Aspen Mountain on Friday, January 24th at 5:30pm. X-GAMES MUSIC CONCERTS are held at Wagner Park on S. Mill St. in Downtown Aspen on Saturday, January 25th and Sunday, January 26th, 2014. Fans can purchase $30 general admission tickets or $150 X Games Music Premium Club tickets, which include heated tent with viewing platform, food and drink. Tickets can be purchased at www.bellyupaspen.com. Tickets can be purchased day of show from 10:00am – 6:30pm at the will call/ticket office located on Mill St. next to Wagner Park, and they are based on availability. Tickets are scanned at the time of entry and no re-entry is permitted. Concessions will be available for purchase on-site at an additional cost. WITH A "GOOD LUCK" FROM ALL OF US..SO PROUD! Aspen/Snowmass is hosting a celebration and send-off for Olympians heading to Sochi on Wednesday, January 29 at 5pm in Aspen's gondola plaza. Athletes are still in the qualifying process and the appearances will be confirmed at they are qualified. A little history: Wintersköl, Aspen's annual "toast to winter," dates back to a quiet January in 1951 when local Aspenites decided to celebrate Aspen's unique Nordic lifestyle with an eclectic weekend of festivities. Today the four day celebration features on-mountain activities, live music, a canine fashion show, WinterFest, fireworks and much more. WINTERSKÖL BUTTONThe 2014 button sponsored by Aspen Valley Hospital (AVH). 50% of all button proceeds will go towards their helmet program - to raise safety awareness. DID YOU KNOW: The most important piece of equipment is the helmet. Head injuries sustained during skiing and mountain biking can be quite severe. That's why a helmet should be worn at all times. Replace your helmet after an accident or every three years; the shock-absorbing materials deteriorate over time. Choose a helmet with an ASNI- or Snell-approval sticker and a bright color that can be seen easily by others. The helmet should have a snug fit without pressure points and should be well-ventilated. 4 p.m. Anderson Ranch Arts Center's "Wintersculpt" This takes place Aspen Mall Area Snow sculpture competition. Anderson Ranch selects four teams to participate in this intense 48 hour snow sculpture competition. Each team receives a participation fee and cash prizes are awarded to the top three sculptures. Teams often work around the clock on Thursday and Friday of the event to transform their 8' x 8'x 8' snow cubes into freestanding creations. By Saturday afternoon, the completed sculptures are judged by a panel of independent community members based on creativity, technical execution, and compliance to rules. 7:30 - 10:00 p.m. Mad Hatter's Ball Wheeler Opera House. The resurrection of an adored "pastime," The Mad Hatter's Ball! Aspen History 101 attendees redeem your student ID card, good for a discounted drink special. Wear your best --and craziest-- hat. Best hat wins 2 passes to the 2014 Aspen Laff Festival!! 8 - 10 p.m. - Live Music by locals favorite...JES GREW, Aspen's own rock- n- roll funk band. Aspen Mountain. The Ultimate Party in The Snow. Free and open to everyone. annual Snow Jam concert. Doors open at 8PM, Concert starts at 10PM, Belly Up Aspen. Space is limited. Apple Strudel Trail, Aspen Highlands. Free to everyone! All participants receive complimentary apple strudel with whipped cream, a drink, and bragging rights at finish line! 4 - 6 p.m. "SoupskölTM," Aspen's 11th Annual Soup Cook-Off Cooper Ave. & Hunter St. SoupskölTM is a soup-making contest judged by the public to determine which restaurant has the best soup in our valley. Each restaurant offers a FREE sample of their soup. The public casts a vote for their favorite and the winner gets the coveted Soup Bowl Trophy and bragging rights for the next year! Free to everyone. 5 - 7 p.m. Aspen Skating ClubWintersköl Skating Exhibition, Aspen Ice Garden. Exhibition 5-6 p.m. / Public Skate 6-7 p.m. FREE Admission. 5:30 - 9:30 p.m. Ullr Nights Elk Camp at Snowmass Mountain. In honor of the Norse God of Snow, Ullr, Elk Camp at Snowmass is transformed into a nighttime winter wonderland. Enjoy old-fashioned winter outdoor activities such as a visit to Ullr's snow castle, the Viking sledding hill, s'mores and hot chocolate by the bonfire, and ice skating on Rayburn's pond. Dance to live music and enjoy an a la carte culinary celebration sure to please any palate. After an evening outside in the snow playground, kids can warm up inside with fun activities and entertainment available downstairs in The Tent. Activities are included in the gondola fee with the exception of guided tours such as snow bikes, ACES snowshoe tour, etc. The restaurant will be set up like it is during lunch time with the various stations, featuring nighttime specials. $10 Adults / $5 Kids, season pass holders & employees. Aspen Skiing Company, 970-923-1227 or www.aspensnowmass.com. 6 - 9 p.m. Post Soupskol Party at Chair 9The Little Nell, Chair 9. Live music, $12 pitchers of beer and more! 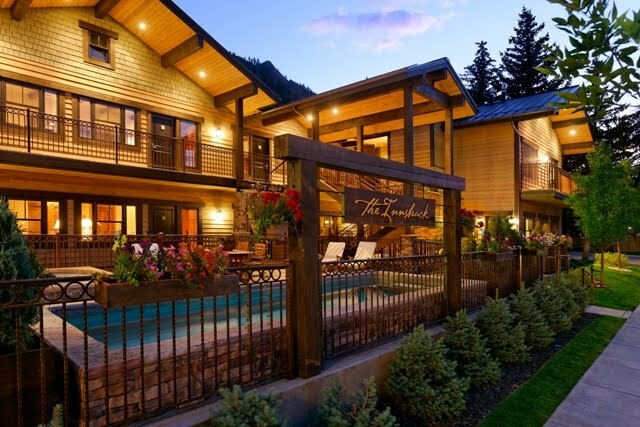 7 - 10:30 p.m. Spring Board Soiree - Ski Town ChicMountain Chalet Aspen. Spring Boards annual event is joining with Wintersköl to bring you "Ski Town Chic". What's that mean? It's everything from neon one-pieces to Fur to dancing in your ski boots. Come join Spring Board and help raise money for a good cause. the Valley's best teen voices as they sing their hearts out on a fun-filled evening. $15 Adults / $10 Students. Aspen Show tickets 970-920-5770, or www.aspenshowtickets.com. Theatre Aspen, 970-925-9313 or www.theatreaspen.org. 7 p.m. & 9:15 p.m. JAS Café Downstairs @ the Little Nell presents Wycliffe Gordon - Hello Pops! ...continued... Anderson Ranch Arts Center's "Wintersculpt" continues Aspen Mall Area. Winners announced at 5 p.m. location TBD. To hit the slopes with complimentary yoga, sponsored by Pure Protein. 9:30 AM, Aspen Sundeck, Space is limited. The WinterskölTM Fireworks Display at our exclusive viewing party. Fat Cycle Challenge, 10:00 a.m. - 12:00 p.m., Marolt Open Space. This is the first fat bike race in Aspen! Competitive & Recreational Divisions available. CASH prizes! Register TODAY! Bike Village / Demos, 12:00 - 4:00 p.m., Wagner Park. Demo bikes will be available to test on our customized course. Sundog Athletics Fat Bike Clinic, 1 - 1:30 p.m. Wagner Park. Space is limited, call 970-925-1069 or www.sundogathletics.com. Fat Cycle Town Ride, 4:00 - 5:00 p.m., Limelight Hotel. Everyone is invited! Bring your own bike and meet at the Limelight Hotel. Fat Cycle Awards Party, 5:00 - 7:00 p.m., Limelight Hotel. Join us for the Awards Ceremony, drink & pizza specials, and live music by Axis LP! Noon - 3 p.m. Family Fun! Clowns, face painters, Aspen Kettle Corn, and more! Noon - 1 p.m. Canine Fashion Show - registration. Free to participate. Registration required and takes place day of. 4 - 5 p.m. Anderson Ranch Wintersculpt Judging & AwardsJudging will take place between 4-5pm on the Mill Street Mall. Judges will evaluate based on the following: Overall creativity and design concept, technical execution and use of snow as a medium, & compliance with the criteria and rules. Awards will be announced at Justice Snow at 5 p.m. First Prize donated by Justice Snow: $500, Second Prize: $250, Third Prize: $100. 7 p.m. & 9 :15p.m. JAS Café Downstairs @ the Little Nell presents Wycliffe Gordon - Hello Pops! 8 p.m. Aspen Brewing CompanyCome taste Aspen's finest microbrews, listen to live music by The Natural Disasters, and watch the fireworks over Aspen Mountain! 1 - 4:30 p.m. Broomball Tournament Aspen Ice Garden. $50.00 per team. Limited space. Contact Keith Bulicz with the Aspen Recreation Department at (970) 948-2192 to register. LET'S KICK OFF THIS AMAZING 2014 SEASON TOGETHER! !